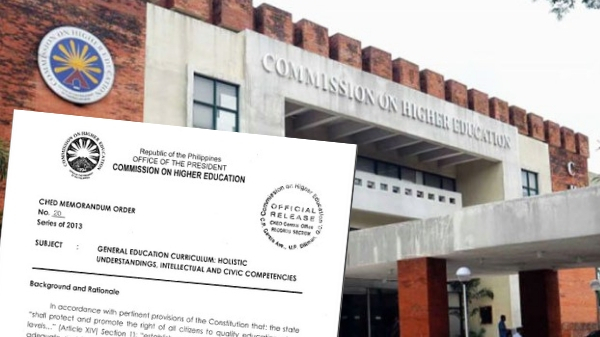 MANILA, Philippines – The Supreme Court declared the Commission on Higher Education’s (CHED) Memorandum Order (CMO) No. 20 Series of 2013 as valid and official. Under the the MO, CHED reduced the General Education Curriculum (GEC) to minimum of 36 units. Filipino and “Panitikan” (Philippine Literature) can now be excluded from the core subjects in tertiary education. Issued in 2013, CHED made the GEC in accordance to the K-12 Education program, particularly for those who have completed Senior High School (SHS). The Alyansa ng Mga Tagapagtanggol ng Wikang Filipino (Tanggol Wika) strongly condemned the memorandum stating that it violates Republic Act 7104 (Organic Act of the Komisyon sa Wikang Filipino/KWF/Commission on the Filipino Language), Republic Act No. 232 (Education Act of 1982), and Republic Act No. 7356 (Organic Act of the National Commission on Culture and the Arts/NCCA). The Tanggol Wika slammed the Court’s decision saying that it saddens and angers them. The group, an alliance of educators from more than 40 colleges and universities, filed and successfully secured a temporary restraining order for the implementation of the memorandum for four years since 2015. With the recent ruling, the TRO will now be lifted. Tanggol Wika vowed to seek legal assistance in filing a motion for reconsideration. They also urged the Court to hold a public hearing and clarified that the decision is still not final. The group also challenged CHED not to implement the memorandum since it will only result to confusion and even loss of jobs. They stated, “Kaguluhan ang lalaganap kung biglang aalisin sa kalagitnaan ng taon. Libu-libo ang maaaring mawalan ng trabaho sa panahong magPapasko pa naman."